The remarkable story of Birdland School and its equally remarkable founder Olive Mumba unfolded in a series of back and forth emails when Olive contacted me for assistance with writing her award acceptance speech. Humbled by her commitment to realize a dream that many of us in privileged parts of the world take for granted - access to education, I sought permission to share it. 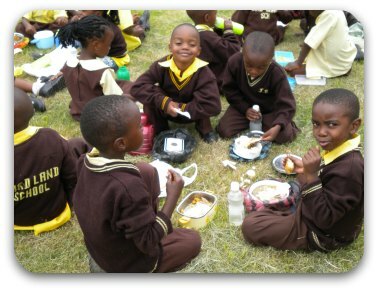 "Birdland School was founded in May, 2001 as a not-for-profit by Mrs. Olive Makukula Mumba to provide nursery and primary education to the Kaunda Square compound and its surrounding communities. 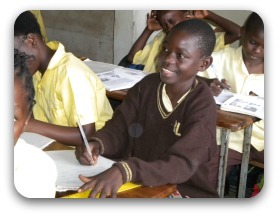 The school is located in the peri-urban area of Lusaka City, Zambia’s capital. Kaunda Square community is an area recognized by closely packed houses, severe power cuts, water and sanitation problems. Also, most of its residents are either unemployed or under-employed. 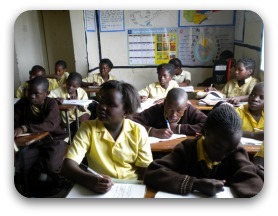 The school started with two children and now has three hundred children on the roll. 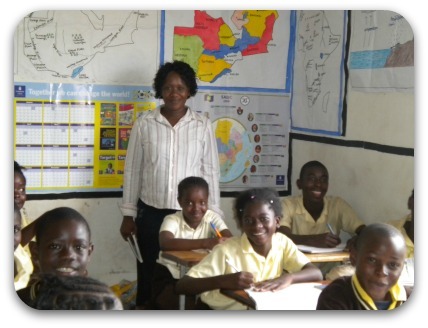 The children are served by a dedicated team of 24 teaching and support staff. The school charges minimal fees for sustainability. These fees vary from one family to another according to their income. However, there are some families that cannot afford to pay at all and the school meets all their children's needs for them, including lunch from the school kitchen." "When we discovered that some of our parents could not afford to pay the fees, we initiated a credit facility to afford them an opportunity to borrow and start small business ventures. Recently, the school has embarked on another project that will benefit some of our parents that are neither in business or employment. We have rented a piece of land for them to do gardening in the dry season and farming in the rainy season. This helps them sell the vegetables for cash and home consumption. The produce (most of it corn this season) from the farming will go towards the feeding of the children on the feeding program." Where ever you are in the world children are its future. If you'd like to support Olive's quest to provide the children in her care with a future worthy of their potential, please donate. Your gift will do more than feed a child. It will help break the relentless poverty cycle. Thank you! Please note: Donations go through my PayPal account to Olive with her approval. You will see my name, Susan Dugdale, on the transaction form.